well for each season, all you need is a little change of direction. It may seem a bit odd to use ceiling fans in winter, but most fans are built for year-round use, saving you money on both heating and cooling costs. 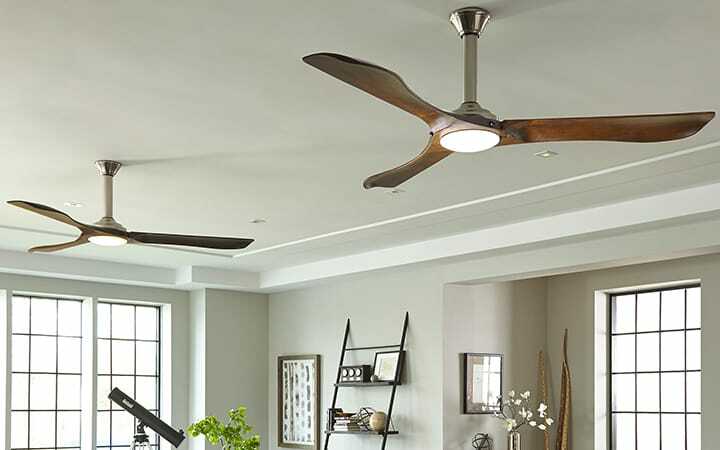 This is done by changing the direction that a ceiling fan's blades are moving (clockwise or counter-clockwise). Depending on the model, the ceiling fan's direction can be changed through the reverse switch on the fan's motor or on a remote control. Which way should a fan turn in the summer? During the summer, run your fan's blades counter-clockwise to blow air downward and create a cooling breeze. That way, you can set your thermostat at a higher setting and still feel cool while saving money on air conditioning costs. How much can you save in the summer? If you raise the thermostat by just 2 degrees, along with using a ceiling fan regularly, you can lower energy costs by about 15% (says the EPA). 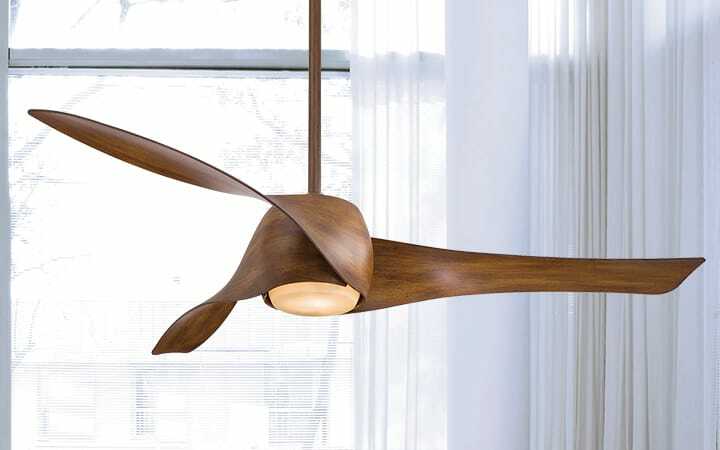 Which way should a ceiling fan turn in the winter? During the winter, ceiling fans can help heating systems to operate more efficiently. Reverse the direction of the blades to turn clockwise and set the fan at a low speed. 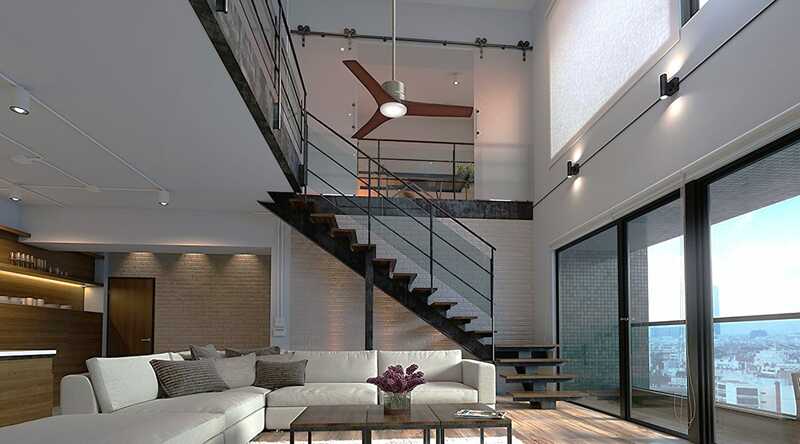 The fan's gentle updraft will force any warm air concentrated near the ceiling to circulate down and around the living space. This will distribute heat more evenly and make the space feel warmer, allowing you to turn down the thermostat. The difference is especially noticeable in rooms with high ceilings, like living rooms or great rooms with tall and often vaulted ceilings. How Do I Change the Rotation of My Ceiling Fan? If you have a remote control, use that to reverse a ceiling fan’s direction. Otherwise, to change the direction of how your ceiling fan's blades spin during the summer or winter, look for a small switch located on the fan's motor housing. 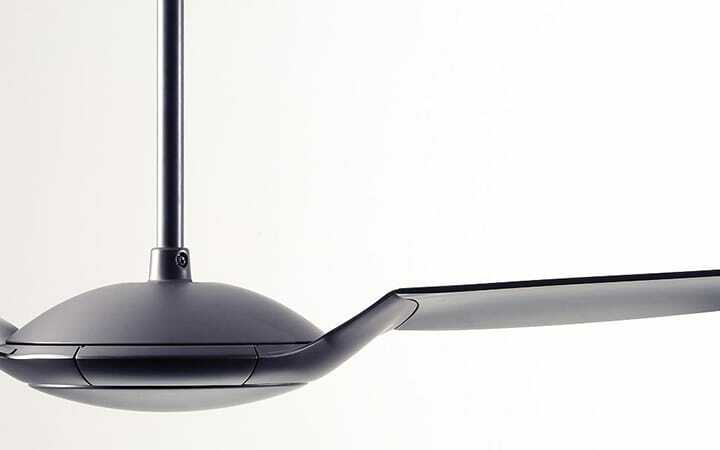 Observe the fan's spinning direction from below the fan and then adjust its direction accordingly.